Apple wrapped its October event at the Yerba Buena Center in San Francisco earlier today and, as promised, there was plenty to dig into. We’ve pumped out plenty of stories dissecting Apple’s myriad announcements, but in case you’re looking for a highlight reel of sorts, we’ve put together a quick rundown of everything Apple pulled back the curtain on. New MacBook Pros: Yeah, people tend to swoon about new iGadgets, but the company’s refreshed batch of Retina Macbook Pros are nothing to sneeze at. 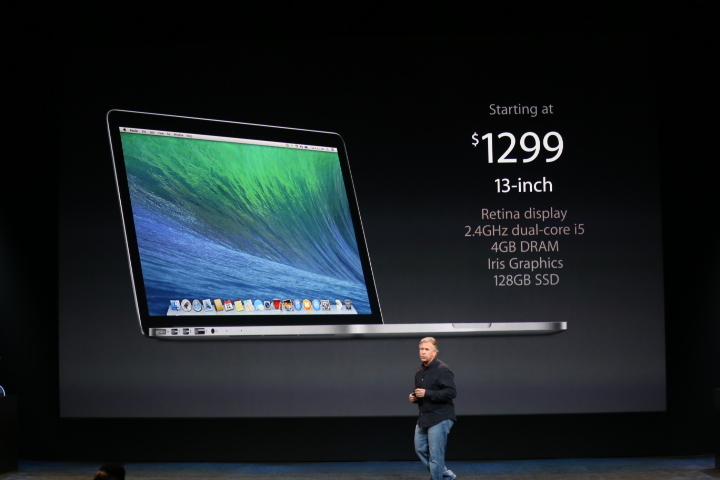 Apple showed off slimmer 13- and 15-inch versions that sport Intel’s latest Haswell chipsets and bigger batteries and come preloaded with OS X Mavericks. 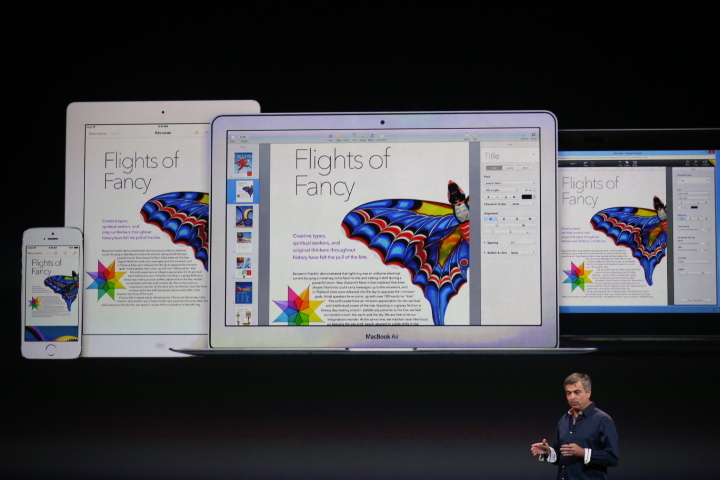 In the event these things struck your fancy, you can lay claim to yours in the Apple Store starting today. Here are Darrell Etherington’s thoughts on how they compare to past versions based on initial impressions. 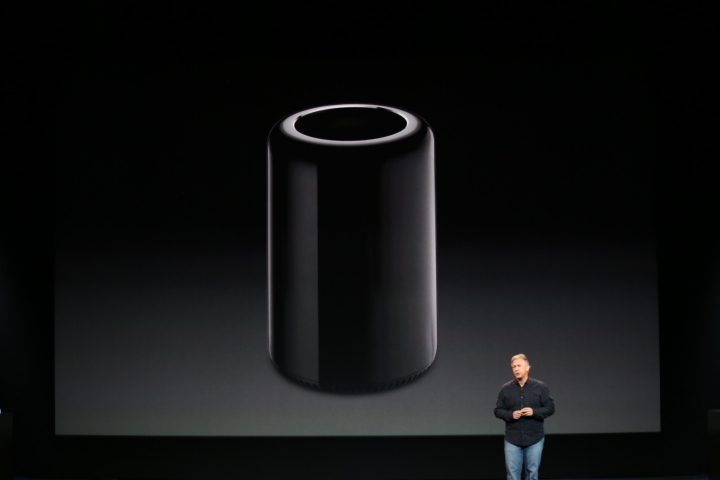 New Mac Pro: Many a nerd has salivated over Apple’s curious Mac Pro redesign, and today we got a better look at what’s ticking away under the hood. Long story short, the back provides you all the access to input/output/expandability you could want, and the otherwise unbroken smooth cylinder evokes a ‘Darth Vader’ vibe. It’s got dual workstation GPUs (proprietary in design but potentially upgradeable down the line) and an amazing Intel processor, making it an awfully powerful machine housed in an awfully pretty body. The new Mac Pro will be available in December starting at $2,999, and you can see our hands-on impression of the computing powerhouse (courtesy of Matthew Panzarino) here. iPads: And who could forget the iPads — Apple pulled back the curtain on two new models, the iPad Air and the iPad mini with Retina Display. 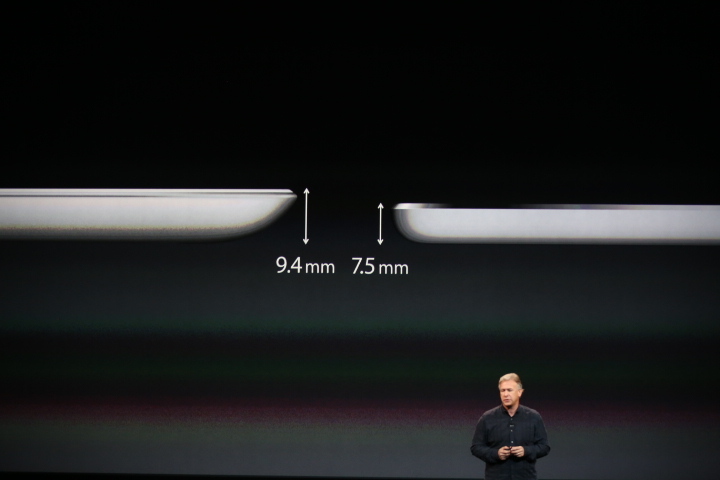 The two actually have plenty of things in common: both sport the same 64-bit A7 chip that recently debuted in the iPhone 5s, both have screens that run at 2048-by-1536 resolution (though the smaller screen on the mini will make for much crisper images), and both are going to hit store shelves starting in November. They even resemble each other to an extent — the Air essentially looks like a 10-inch iPad mini, making it significantly slimmer and lighter than the model that came before it. If you’re not looking to spend too much, though, Apple is keeping some older models around to make sure that anyone who wants to jump on the iPad bandwagon can do so. 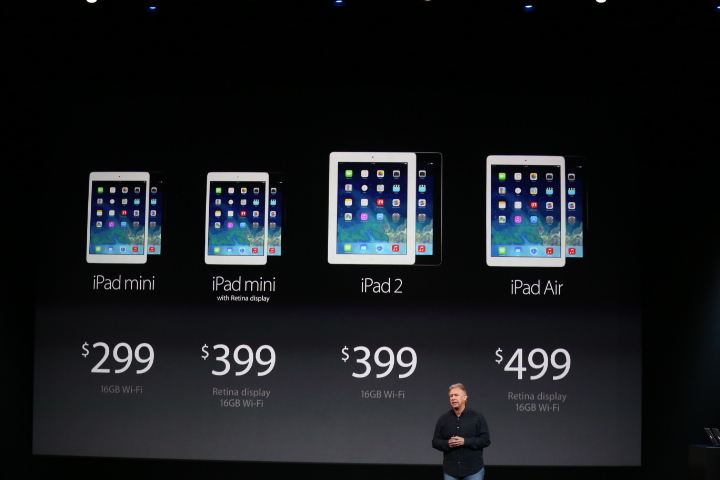 The (non-Retina) iPad 2 is still kicking and will set you back $399 to start. Today it seems the name of the game was ‘free.’ Apple announced that two of its most prominent software suites — iLife for content creation and iWork for, well, work — would now be free with the purchase of any new Mac or iOS device. But that’s not all. 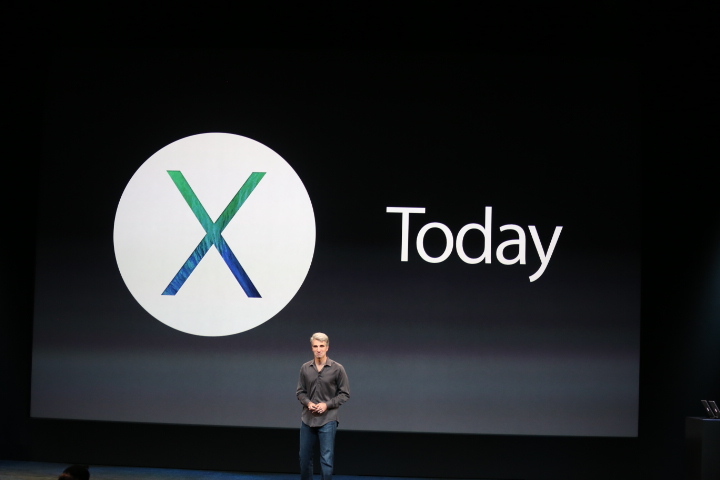 Apple’s next big OS X update, OS X Mavericks, is also free and it’s available right now for all to download. This should help dramatically raise the rate at which users update their software, which has a benefit for security and for developers, too. Considering that the Apple has been charging for these annual updates since the earliest days of OS X, this is an unexpected (though very welcome) change. It’s true the company has been reducing the cost of updates with each new version, but going completely free was a move almost no one saw coming. Apple also delivered an update about how quickly people are taking to iOS 7, and the numbers aren’t too shabby. It’s been just over a month since the update went live and started getting pushed to iDevices across the globe, and so far a full 64 percent of those Apple gadgets are now running iOS 7. And that’s about everything there is to know about Apple’s big fall event, without getting too deep into the nitty gritty. Safe to say, Apple has a lot of new stuff for people to get excited about going into the holiday shopping season.